Join us on our bus trip to Dalsnibba, a 1500m Mountain with a spectacular view over the Geiranger Fjord from SKYWALK dalsnibba viewing platform. Driving up the beautiful and winding road you will discover the unspoiled back country and be part of one of the most beautiful and exciting bus tours in Norway. 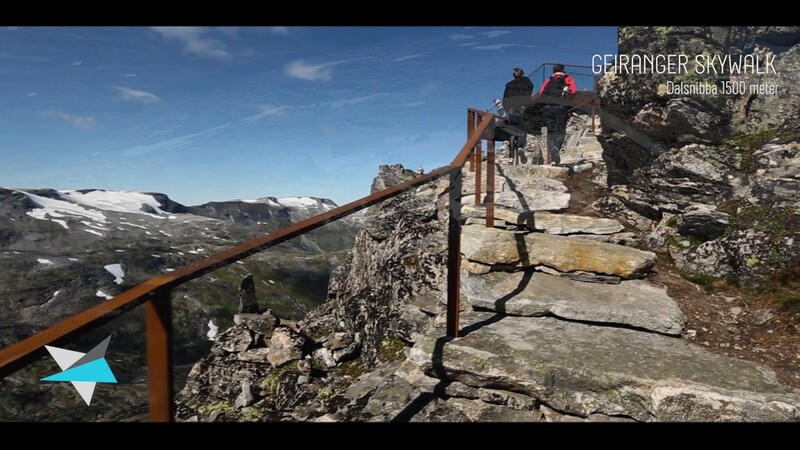 The tour includes an extra stop at the famous Flydalsjuvet viewing point. Fjord Cruise Ålesund - Geirangerfjord, ÅlesundDiscover the traditional way to travel along the fjords like the locals. It is around 120 km from Ålesund to Geiranger and you will see three different fjords and a spectacular scenery along the way.